While I was attempting to fix Camilla’s computer, she whipped up a quick, late Sunday brunch. 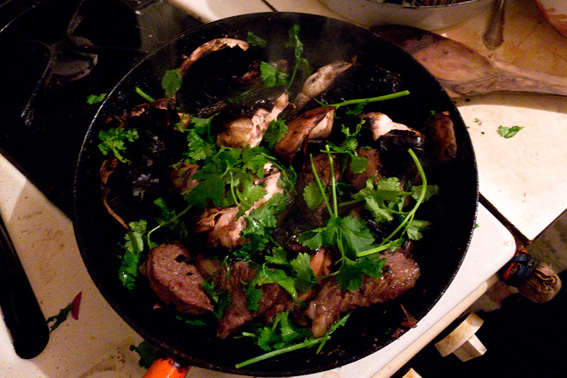 Sliced, organic rump steak (Planet Organic), with Portobello mushrooms, coriander, parsley, salt and pepper. It was fabulous with hummus and guacamole. This entry was posted in Eating Out, Meat and tagged guacamole, hummus, mushrooms, Planet Organic, steak. Bookmark the permalink. A tempting steak, a whipped rump brunch, thank goodness for the coriander … these posts get better and better. Heathen in fact.